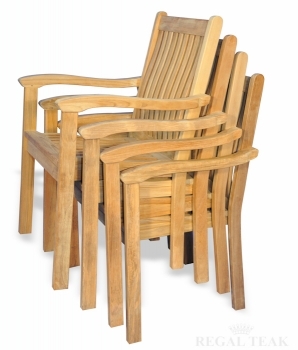 Our Teak Tisbury Stacking Armchairs have elegant lines and the seats are contoured for additional comfort. 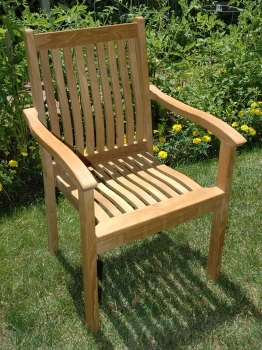 Dimensions: 37.5" H x 23" W x 22" D"
A beautifully designed, well constructed and comfortable chair with elegant lines that have the additional benefit of being easy to stack for storage. Use them indoors or out. They complement any decor.